It is that time of year again! Around this area, every town seems to have a festival of some kind throughout the summer and into the Fall. There are the art and craft festivals, the music festivals, farmer’s markets full of fresh produce, history festivities…to name a few. 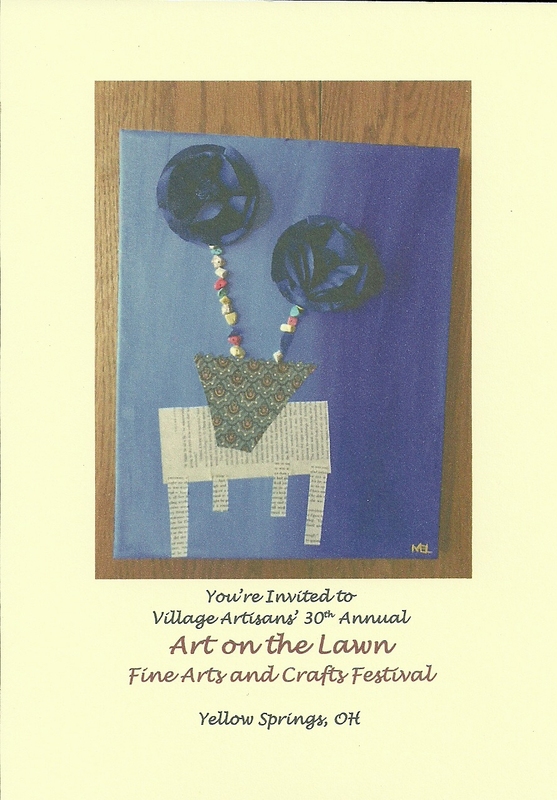 Early last spring, through Beans-n-Cream, I heard about an annual art festival in Yellow Springs called, “The Art on the Lawn Festival.” Yellow Springs is an artsy, tourist town–and so the thought of being part of this event really excited me. It would be an opportunity to be alongside other local and out-of-state artists for a day. I would get to see their work and others could see mine. 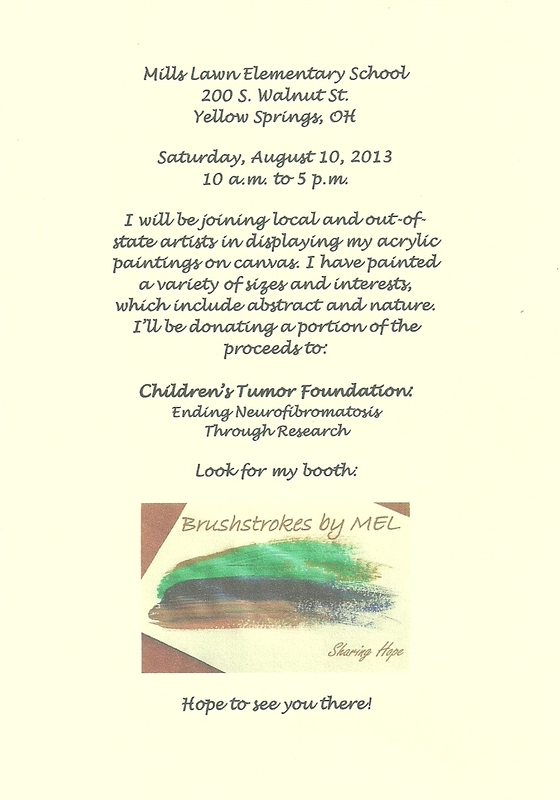 It would also give me a chance to tell more people about my story of living with NF2 and how I started painting. So, I set out to apply for a booth space at the festival. After being approved, I vigorously painted for the festival, enjoying every minute of it (stress and tears were part of making the day a joyous one!) At the end of the festival, I was personally invited to next year’s show. I found that special and an honor. In May, I resubmitted my application to secure a booth position and started slowly painting, thinking all the while, “I have plenty of time!” Here it is: two weeks to the festival! No stress or tears as of yet, but let’s just say these next two weeks, my primary focus is on the art festival details and finishing a few more paintings. Hope you have a great time. Wish we could go and see all of your creative projects! Wish you could be here too! I wish you a day of joy! Share smiles and sell your art work. I’m anxious to hear all about it and see the pictures you have taken. Thanks Syahidah! I am just taking it one day at a time. 😀 I hope you are having a good start of your week too.